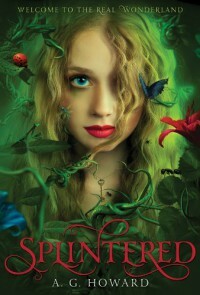 This book was the perfect dark and different fairy tale i was looking for. It had me on the edge of my seat the entire time. Alyssa's journey to uncover and break her family curse is beautifully written. The details are very vivid and paint an amazing picture. A.G. Makes you feel as though you are in wonderland fighting right along side Alyssa to return to the human realm. Definitely a must read for all Alice In Wonderland lovers.